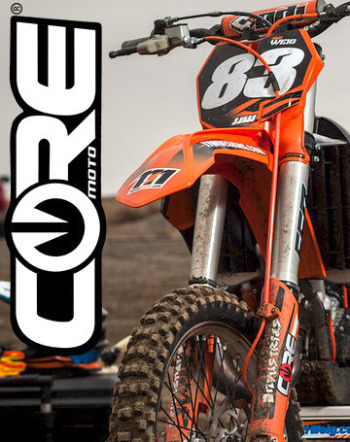 Want to become a Core Moto dealer? The link below will take you to our dealer section where you can sign up to become a dealer. If your business has the proper credentials, Core Moto will grant you a dealer account. Most Core Moto / Carrozzeria products sales are through our authorized dealer network. Click the link below for details. 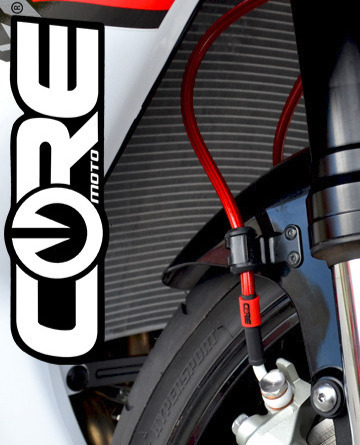 Core Moto is an American manufacturer of aftermarket stainless steel braided motorcycle brake lines and performance parts located in Cocoa, Florida USA. 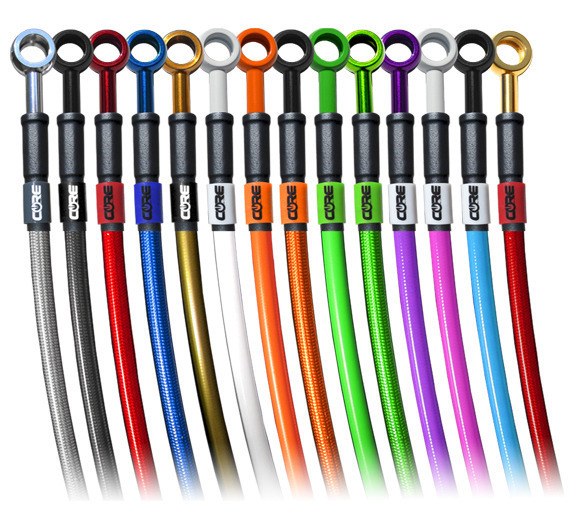 Specializing in custom colored and DOT stainless brake line options; Core Moto has been providing the highest quality components for retail customers and dealers since 2006. 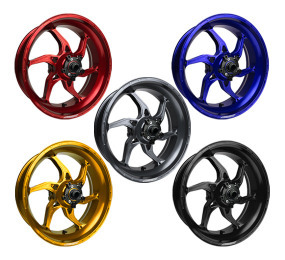 Recognized as a leading manufacturer and trustworthy supplier in the industry, Core Moto offers exceptional customer service and competitive pricing on our wide selection of color options featuring our signature branding tags for ultimate functionality and style. 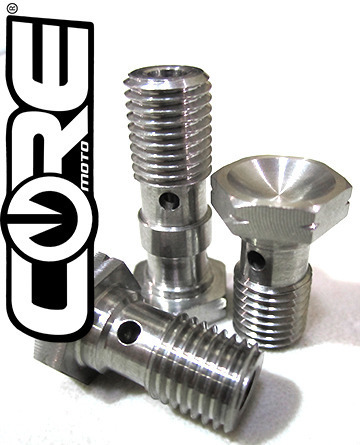 At Core Moto, our primary company focus is in using the finest materials and processes in assembling our brake line kits. Keeping in line with our commitment to value, quality and service, our company is positioned to best serve each customer with products tailored to your specific needs and budget requirements. In a continuing effort to support the performance bike community, our teams of talentedengineers, customer service representatives and support specialists are knowledgeable, courteous and as dedicated to riding as the customers we serve. 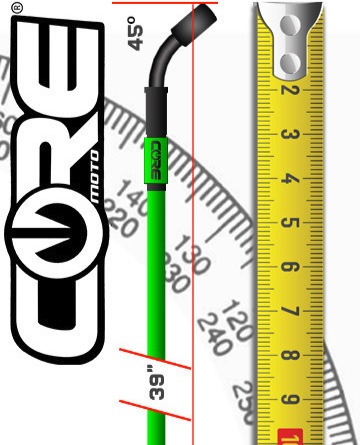 As the #1 destination for custom motorcycle brake lines, we take pride in what we do and are passionate about exceeding our customer's expectations every time.The brake line kits offered at CoreMoto are guaranteed to stand the test oftime, taking the daily abuse of riding and/or hard racing in stride, backed by our Lifetime Warranty. We believe that whom you buy from is just as important as whatyou buy. That is why we strive to be the best provider of aftermarket accessories. 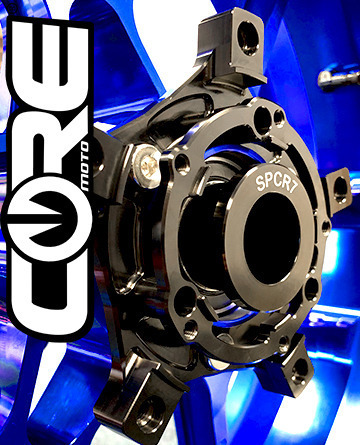 Core Moto released new parts developed for the 2014 racing season. Partnerships with club racers and top level pro AMA teams like Meen Motorsports pushes our research and development, leading to technology that ends up in our street and dirt products. 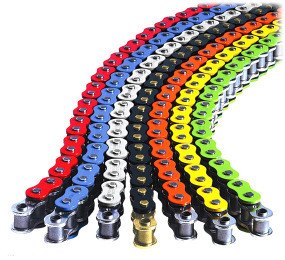 CoreMoto carries the most current technology and extensive selection of brake lines and accessories available. 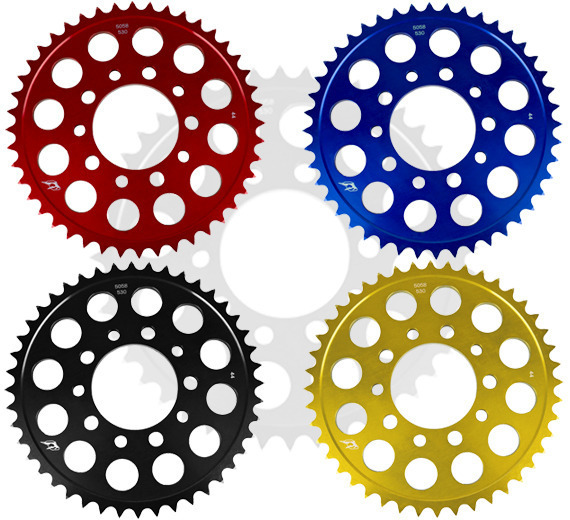 All top level racing components developed are also made available to all our customers. Since the beginning of CoreMoto in 2006, our goal has been to make sure our customer can enjoy and share their love for riding as much as we do. We have seen rapid company growth by focusing on our core values of outstanding service, product quality, selection and competitive pricing. Here at CoreMoto, we want to make sure that you never miss a ride. If you have any questions, please do not hesitate to contact us at (321) 806-3995 or email us at support@coremoto.com. For your added convenience, we are available to assist customers by phone Monday-Friday, 9AM to 5PM EST. 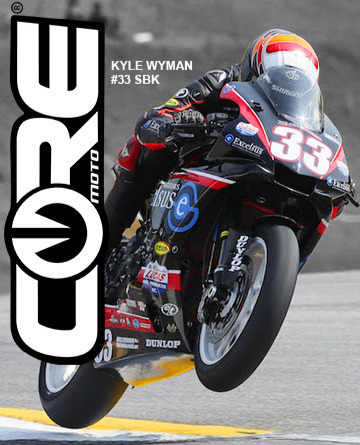 Thank you for choosing Core Moto as your performance bike parts supplier. We are confident that once you have experienced the CoreMoto difference, you won't want to shop anywhere else. We look forward to serving you!.